We hope you enjoy 15% off your order with Bunches.co.uk, not to forget FREE UK delivery with all orders! Thank you all so much for your service and sacrifice. Click ‘Get Code’ to get the voucher code and open the Bunches website. 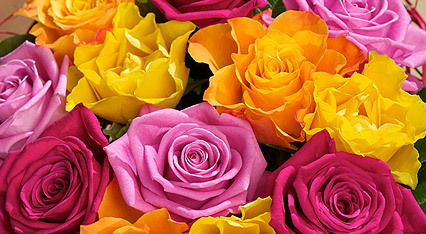 Select the flowers you’d like, and pick a delivery date and delivery method. Click ‘Place Order’ at the bottom of the page. Pick a Premium card on the next page if you’d like to upgrade from the free personal message card. Otherwise, click ‘No Premium Card, Thanks’ to continue. Type a personal message to be printed on the inside right page or leave it blank and click ‘Continue’. Click ‘Continue to Checkout’. Once you’ve reached the basket, type in the TroopScout voucher code in the box provided, labelled ‘Add a Promotion’. You’ll find this under the shopping basket on the same page. Once the discount has been applied, either log in if you’re already a registered customer or continue on to checkout as a guest by clicking ‘Just Checkout’. Fill in your details and recipient’s details, then click ‘Continue’ to proceed to payment and completion of your purchase. FREE delivery and chocolates are included with your order! Established in 1989, Bunches is a family-run flower delivery service offering seasonal and celebratory bouquets, not forgetting gift hampers and balloons too. Inspired to expand their small flower business from under an umbrella in Mansfield, they came up with the idea of posting bouquets to homes. From there they began sending out flowers to homes all over the UK with the help of the Post Office, and they’ve grown phenomenally ever since. However at Bunches, they want to stand out from the crowd and they believe that every business should also contribute positively to society. Not only do they pride themselves on an efficient personal service delivering beautiful bouquets, Bunches is also committed to donating a percentage of their profits to those in need in the UK and in the developing world where they’re actively involved into figuring out where the money goes. Bunches flowers come from all over the world, many of which are grown in developing countries. Because of this, Bunches strives to source their produce from farms that guarantee their workers a better quality of life and use environmentally friendly and sustainable initiatives. Get shopping with Bunches today with a healthy conscience! They offer a great range of reasonably priced flowers, bouquets, house plants, balloons and hampers starting from just £14.99.